In less than a month the future of the National Football League will shake hands with Commissioner Roger Goodell as they cross the stage during the 2019 draft. Nonetheless, all 32 teams enter the draft with problems in need of fixing. The NFC East division offers the perfect amount of parody between team needs to describe the draft in a nutshell. 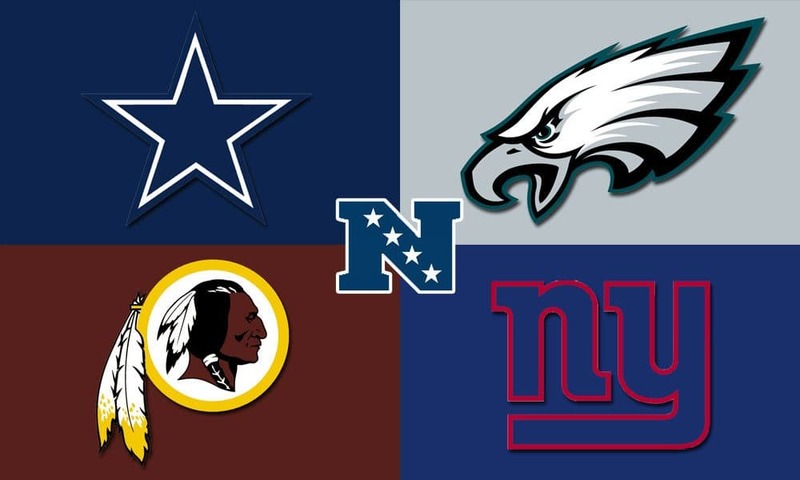 The 2018 NFC East division champions finished their season with a divisional round exit. However, Dallas keeps on trending upwards as to a well-rounded team. Thanks to a top-10 league defense, talent on all three levels showcased dominance at times during the season for the Cowboys. Demarcus Lawrence continues to rise as one of the league’s top pass rushers on a line also consisting of Tyrone Crawford and David Irving. Jaylen Smith and Leighton Vander Esch form a dynamic duo in the middle of the field. On the backend, Byron Jones, Chidobe Awuzie, Anthony Brown and Xavier Woods round up a deep secondary. With Dallas sacrificing their first round pick for mid-season acquisition in wide receiver Amari Cooper, the team smoothly replaced Dez Bryant as their top wide-out threat. However, with the retirement of interior lineman David Irving and continued average at best play from safety Jeff Heath, the Cowboys must prioritize these two positions in the draft. Securing a continuously improving defense will allow Dak Prescott, Ezekiel Elliot, and Cooper to thrive. The trio will be able to build off their 2018 success. 2018 saw the end of an ERA, as Nick Foles signed a well-deserved contract with the Jaguars. It is now sink or swim time for the 26-year-old quarterback Carson Wentz. The Eagles, like the Cowboys, fell short in the divisional round after a loss to the New Orleans Saints. The offseason so far has been busy as they attempt to create another championship caliber team. They brought in a familiar face in deep threat Desean Jackson as well as an every down back from the Bears in Jordan Howard. However, after long being known for having a top class offensive line, the lack of rushing attack in 2018 needs fixing for the Eagles to be better in the upcoming season. Jason Peters faced injuries, as well as a decline in play Philly fans, were unaccustomed to seeing from the former All-Pro tackle. With Lane Johnson on the other side, this is a must for Philly to address in the draft. The defensive side of the ball has needs at the secondary level and point of attack on the line. The Eagles feature elite talent in Fletcher Cox, Malik Jackson, and Brandon Graham, but the depth behind those three are concerning. For a team that prioritizes offensive and defensive line, the Eagles should make shoring up their pass rush, especially on the edge, amongst their top priorities. On top of this, Malcolm Jenkins is not getting any younger and Andrew Sendejo is on the wrong side of 30. A young and fast ball hawing safety would add another quality element to the Eagles defense. The Redskins were in a premier position to compete for the playoffs in 2018. While this was in most parts thanks to their defense, a scary season-ending injury to quarterback Alex Smith ruined any chances they may have had. Despite the recent trade for quarterback Case Keenum, Washington has to be aware this isn’t an effective future solution. Without a quarterback, no team in the NFL can succeed. The Skins, as a matter of a fact, need to dedicate the majority of this draft to their offense. Not only a quarterback, but somebody to catch the ball. Paul Richardson and disappointing draft experiment Josh Doctson aren’t going to give many defensive coordinators nightmares as the top options. After seeing Jamison Crowder leave for the Jets, a new receiver is a must for Washington. The same can be said for the interior of the Redskins offensive line. While Trent Williams, Morgan Moses and Brandon Scherff form 3/5 of a quality crew, two interior pieces are still needed. While adding a veteran to the group from free agency may be best for one of the two needed positions, the Redskins should scout heavily for a new face on the interior of their offensive line. Last, but not least, are the New York Football Giants. Coming off back to back last place division finishes, the Giants are enduring a rebuild. General Manager Dave Gettleman rocked the league by trading star receiver Odell Beckham Jr to the Browns. This seemingly gave running back Saqoun Barkley the keys as the team’s star player. After winning eight games in two years, holes can be found at every level of the roster. Nearly any position on this roster can be legitimized as needing help. New York has pushed off finding a new signal caller for a long time. However time is up, and the 6th overall pick should be used on their successor to Eli Manning. The two most recent super bowl runs for the Giants featured an impressive pass rush. After getting a quarterback, their near bottom of the league pass rushing attack needs fixing. A lack of depth at cornerback after Janoris Jenkins can be concerning. However, the offensive line is getting closer to completion by the day. The Giants have to finish the job. Acquiring Kevin Zeitler in the Beckham trade improved the interior of the offensive line. An offensive tackle across from Nate Solder is the glaring missing piece. Not only will Manning have more time to throw, but maybe Barkley will have some legitimate holes to run through. If possible, the 17th overall pick they got from the Browns would be a great time to take said tackle.